Layers of Fear is a game that I have wanted to play for a couple of years now since it released on the PlayStation 4 and Xbox One, but I never got round to it. It was welcomed with plenty of favourable reviews and it seemed a very intriguing game, and while I wanted to experience the game one way or another, I held off watching any considerable amount of gameplay footage. Now the game comes to the Nintendo Switch with its downloadable content in hand, so with me being a bit of Switch fan and horror game junky, I wasn’t going to pass up this chance. The less you know going into the game the better. So, as always is the case, I’m not going to spoil anything in this review in terms of story or major elements that occur during the game. What this means for the player is that second and third playthroughs won’t be anywhere close to being as enthralling or engaging to you as your first playthrough was, but I guess that could be the case for the majority of games of this ilk, so it’s hardly a big criticism by any means. But still, it has to be said. You play as an unnamed painter who is trying to complete his masterpiece. He starts hallucinating about past actions that made him who he is now and it is up to you to discover, piece by piece, by searching through his Victorian mansion, the very gloomy and awful history that he hides. Walking simulators have become quite popular over recent years and you could easily categorise Layers of Fear: Legacy under that moniker. The game is intentionally slow, your movements are sluggish and it might feel like you’re in a 9-tonne lorry when turning. You will be spending the majority of the game walking around, looking through drawers and shelves, much like what you tend to do in a walking simulator. But if you don’t particularly like those types of games, don’t let that put you off because there is much more to it than that. When you get right down to it, Layers of Fear: Legacy is all about the story and you will find that the gameplay takes a backseat in order for it to flourish. On your journey, you will find letters and newspaper snippets, along with items that when picked up, trigger a memory and gives you a bit of narration to go along with said item. This is where you will find the bulk of your story, so if you’re interested in getting the most out of the game in terms of its narrative element (which if you weren’t, then you shouldn’t really be playing this to begin with), then finding these hidden elements around the game world is imperative, you don’t want to just be avoiding everything you see in order to finish it quicker. What hooked me in the most with Layers of Fear: Legacy is I was constantly intrigued and fascinated by learning more and more about the certain elements within the game, such as the history of the characters, or the house that used to encompass them. The game always gave me just enough to make me continue on and on. 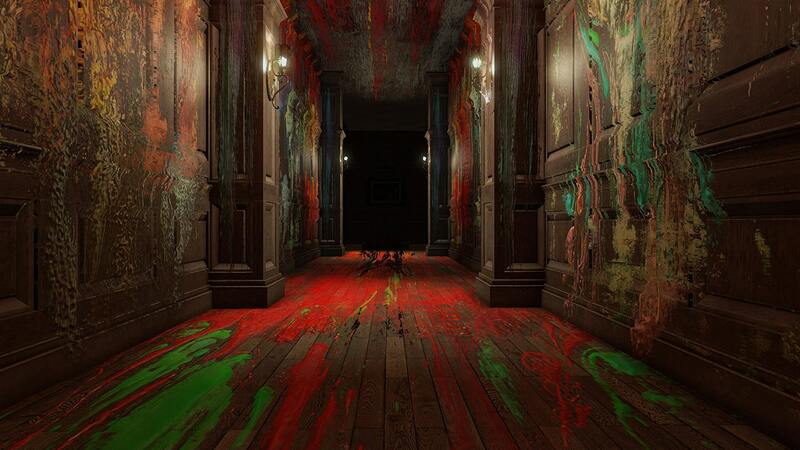 One of the best aspects in Layers of Fear: Legacy is that the house actually changes before your very eyes. Doors will constantly change where they lead you and the objects can move around at random leading to some genuinely discomforting parts of the game. The more you explore, the more the mansion becomes a bit manic. It was exciting for me to never really know what I’m going to see going around a corner even if I may have been round that same corner before. To somewhat tie into this, there are also a number of scripted events the game uses to ramp up the thrills even more. A lot of horror games’ scripted events are a bit below par but here they are actually set up and executed rather well and offer up some high points during the game. In terms of the scare factor and pure unsettling nature, I wouldn’t put it up there with games like Slender or PT (I’m still so annoyed PT isn’t happening), but it’s not a million miles off. Jump scares will catch you out more times than you’ll think they will and the atmosphere the game creates is enough to make you feel uneasy even when nothing is happening, and that’s the hallmark of a good horror game. Motion controls are implemented really well in Layers of Fear: Legacy on the Switch. You can grab onto doors with the trigger button and, much like in real life, pulling or pushing will open it. It makes things feel more intuitive and with the inclusion of HD Rumble too, it helps make the game feel a bit more lifelike. Even though you are able to use the Pro Controller for opening doors, drawers and suchlike, it feels much more natural to use the Joy-Con and similar to Super Mario Odyssey (didn’t think I’d say that name during this review), when you start up the game it tells you to try and use the Joy-Con because the game plays better with that control scheme. Motion controls are, of course, optional, but even if you’re not the biggest lover of them, I would still appeal to you to try them out. Quite a number of puzzles throughout the game felt a little weak to me. I grew up on games like Resident Evil and Silent Hill so I do love a good puzzle or two in a horror game, but when the answer to the puzzle is just a three digit number hidden in a not so difficult to find place in the same room as you, it doesn’t hit the same chord. It also somewhat irks me that some of the doors in the game that are locked seemingly have no key, so there is no way of ever getting in there. For a game where you are encouraged to explore, having rooms that you can never access seems a bit silly. Layers of Fear: Legacy runs pretty much faultlessly when played in both Handheld and docked modes. There are a couple of rough patches I ran into here and there but they were very rare and didn’t dampen my experience in any way. I personally preferred playing the game in Handheld mode because I felt that the game needed headphones in order to convey some of the more subtle sounds better, which in turn helps the game have more of an effect on the user and makes them feel more uneasy with what is happening around them. It took me roughly around five hours to finish the base game but this release also includes the downloadable content too which will give you around two hours on top of that, as well as provide further backstory. It doesn’t do anything overly different from the main game but it’s worth playing though nonetheless because it does help cover a few holes. Layers of Fear: Legacy is more about the story than anything else, so make sure you’re prepared for that when you go in. It’s a game that if you allow it to, will just completely grip you and won’t let go, and because it is up to you to uncover a lot of the story by searching around, you will want to explore the mansion for just that bit longer. It is also very creative and clever with its use of set-pieces and, on the face of it, random room setups, which helps the game from ever becoming overly dull or boring. I can now say, with ease, that the Nintendo Switch has its first great, proper horror game. It may also be one of the best horror games of the last few years on any platform.